AncestorPuzzles.com: "Uncle Jim that went to Hawaii"
"Uncle Jim that went to Hawaii"
Nick, in all of your family tree items, do you have any idea when your Great Uncle Jim Hughes was living on Oahu? I know he and his wife were there when Pearl Harbor was bombed in ‘41, but not sure how far back they go. By the way that might be Great-Great Uncle. I can’t keep up with all the titles. I never knew that I had a relative that lived on Oahu during the bombing of Pearl Harbor!!! My curiosity was piqued to see what I could learn about this man. I went to his profile in my family tree on Ancestry.com to see what information it contained. I looked first at the relationship field. How was "Uncle Jim" actually related to me. He was the brother-in-law of my great grand aunt, Viola Coffman Hughes. My mom called her "Aunt Volie". Viola Hughes was the matriarch of a large extended family composed of Coffman and Hughes descendants. She and her husband, David Hughes resided in Oakland, California at 742 46th Street for over forty years. Viola was the matriarch of an extended family of Hughes and Coffman descendants. 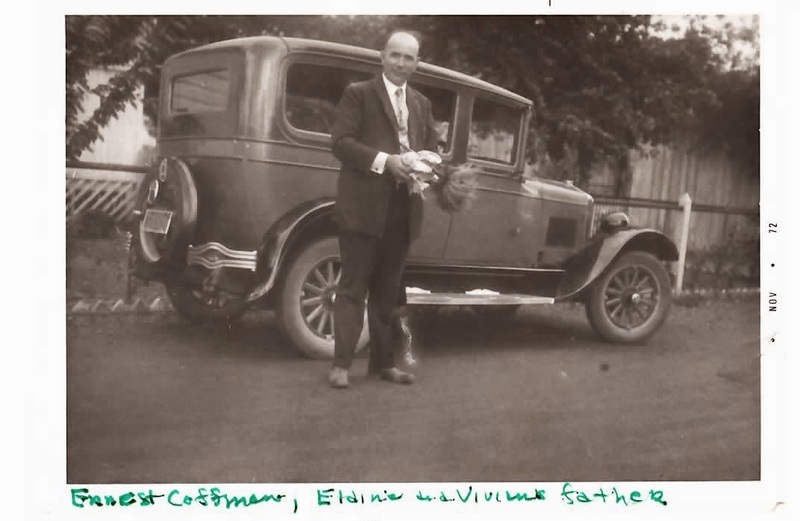 My great grandfather, Ernest Coffman, Sr. (Viola's brother) was married twice, first to Mae Moss in 1907 and then to Millie Loveless in 1931. My great grandmother, Mae Moss Coffman and Ernie's mom, Millie were both working mothers. Aunt Volie provided child care for my mom's Aunt Vivian and fifteen years later for half-brother Ernie. So my Uncle Ernie essentially grew up in the Hughes residence on 46th Street and regarded the Hughes brothers as his uncles. My uncle Ernie Coffman was only two years old when his father died. When James Edward Hughes was born on September 28, 1885, in Oakland, California, his father, David Hughes, was 40 and his mother, Jane Lloyd, was 43. He had five brothers. He died on February 28, 1957, in Alameda County, California, at the age of 71. In the 1910 census Jim Hughes is found residing with his parents David and Jane Hughes and brothers, Humphrey and Evan in Oakland, California. Evan and Jim were both listed as salesman, hardware and Humphrey was listed as salesman, coffee. James E. Hughes who has for the last year and a half acted as the Hawaiian representative of the Pacific Hardware and Steel Company, San Francisco, has recently joined the staff of Catton, Neill and Company as manager of its supply department. 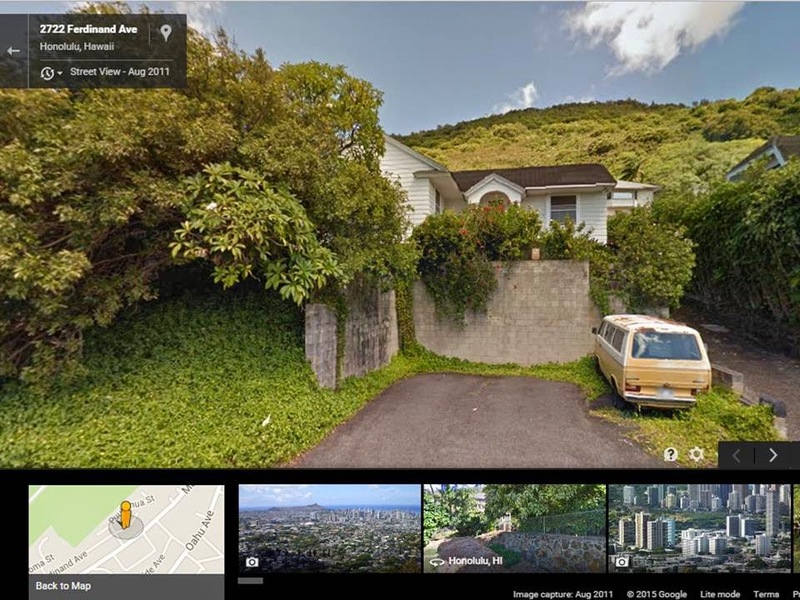 In the 1915 Honolulu, Hawaii, City Directory, James E. Hughes is residing at 1227 Matlock Avenue. His occupation is salesman. 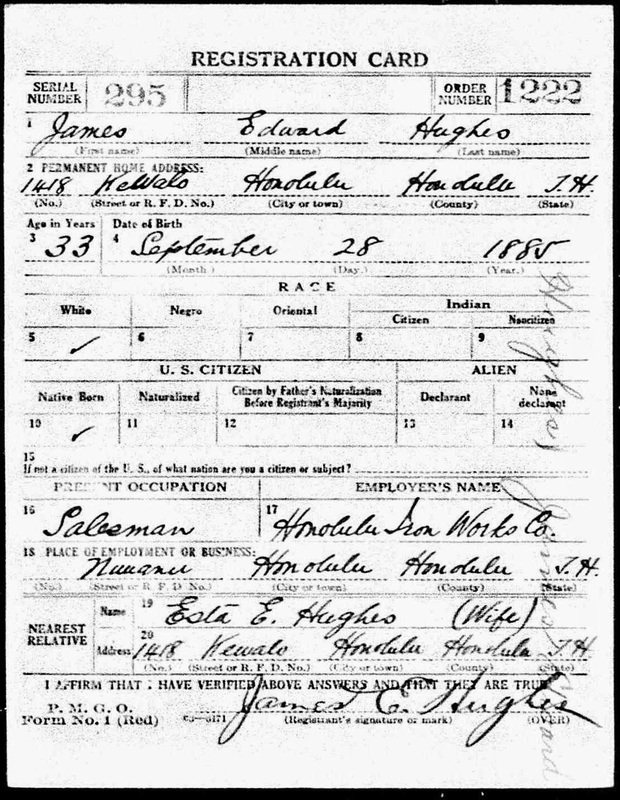 On his 1918 World War I draft card he is married to Esta E. Hughes and residing at 1418 Kewalo, Honolulu, Hawaii. His occupation is salesman for the Honolulu Iron Works Company. list departing San Francisco on the S.S. Matsonia on August 11, 1920 and arriving at the Port of Honolulu on August 17, 1920. The following listings are from the Honolulu City Directories. The listings between 1933 and 1947 were the same. Uncle Jim continued to reside at the same address and had the same occupation. There is nothing in the City Directories to indicate that life changed at all during World War II. However, I would have to surmise that the work at the Honolulu Iron Works must have been profoundly affected by the bombing of Pearl Harbor. I am sure that Uncle Jim was doing his part to support the war effort. Since no occupation is listed here, it would lead me to believe that Uncle Jim had retired by 1949 at the age of 64. 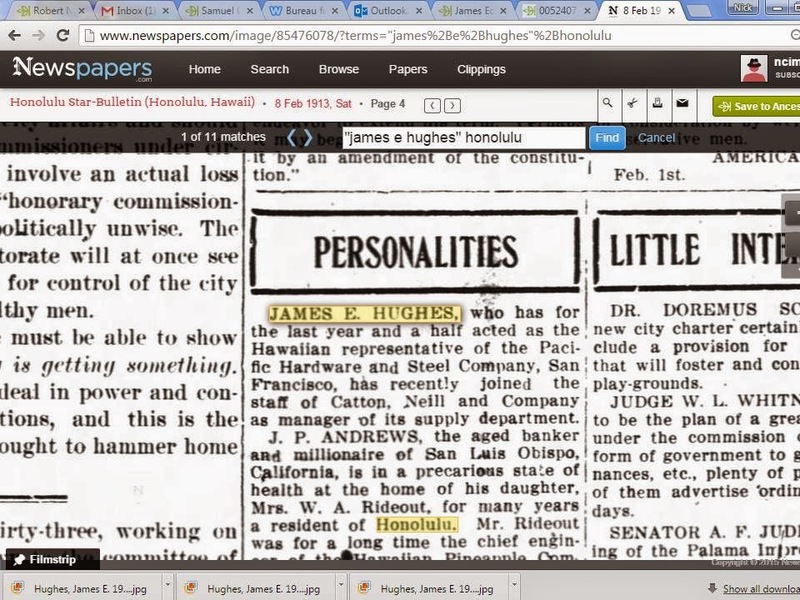 We know that Jim Hughes returned to Oakland, California and he died there in 1957. Since he is no longer listed in the Honolulu City Directories this is probably when he relocated to Oakland. There is a listing in the 1955 Oakland Telephone Directory for Jas E Hughes at 37 TrafalgrPl KEllog 3-4559. There is a Trafalgar Place in the Oakland Hills in the vicinity of Park Boulevard and Highway 13 so this may have been where he was residing in 1955. 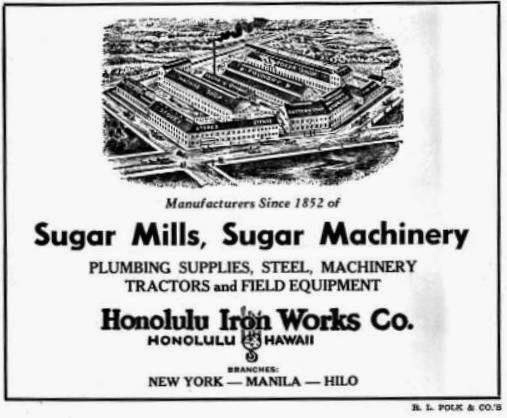 This image of the Honolulu Iron Works was from the Honolulu City Directory as found on Ancestry.com. The business advertisements can make great illustrations for your family history. 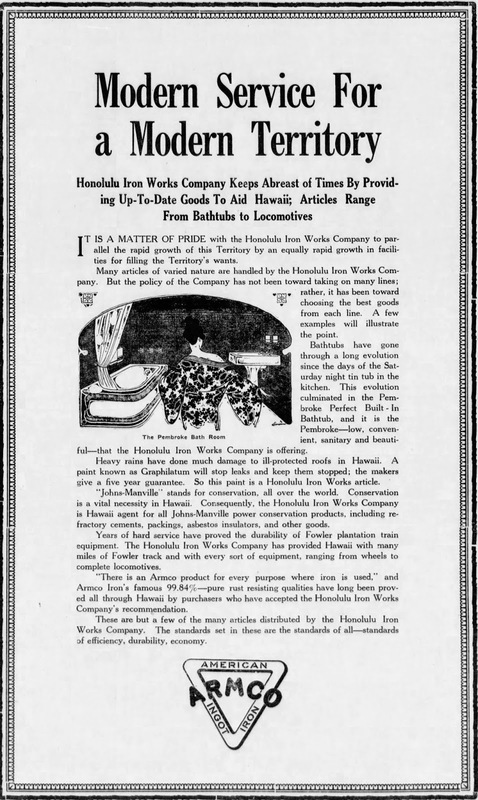 You can see that the Honolulu Iron Works was a large industrial complex in the midst of an island paradise. Hopefully this little tale of James Edward Hughes can be instructive as an example of the kinds of records that can be found on Ancestry.com for your ancestors. They don't always appear with the little shaking leaves as the commercials would lead you to believe. When you find these records, they will help you to piece together your "Ancestor Puzzles."